We’ve all had times when we couldn’t get to sleep or wake up in the middle of the night and can’t fall back asleep. You feel groggy the next day and time cannot pass by fast enough to get home and hit the hay. For many people, these nights are few and far between. But for people with chronic insomnia or other sleep-related issues, the long term health consequences can be serious or even deadly. 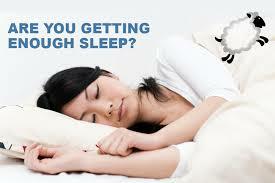 A recent Gallup poll found that 40% of Americans get less than seven hours asleep at night. When the same poll was ran in 1942, Americans were getting the recommended eight hours of sleep. With our gadgets, hectic lifestyle and “always-on” culture, it’s no wonder an estimated 70 million Americans have trouble sleeping. How important is sleeping well? It’s vital for your health. You can live longer not eating than you can without sleep. To mitigate risk of developing these conditions or diseases, SleepRate can help you manage your chronic insomnia or sleep issue. SleepRate gets to the root of the problem and gives you actionable steps to improve your sleep. Learn more about SleepRate or get our product here.